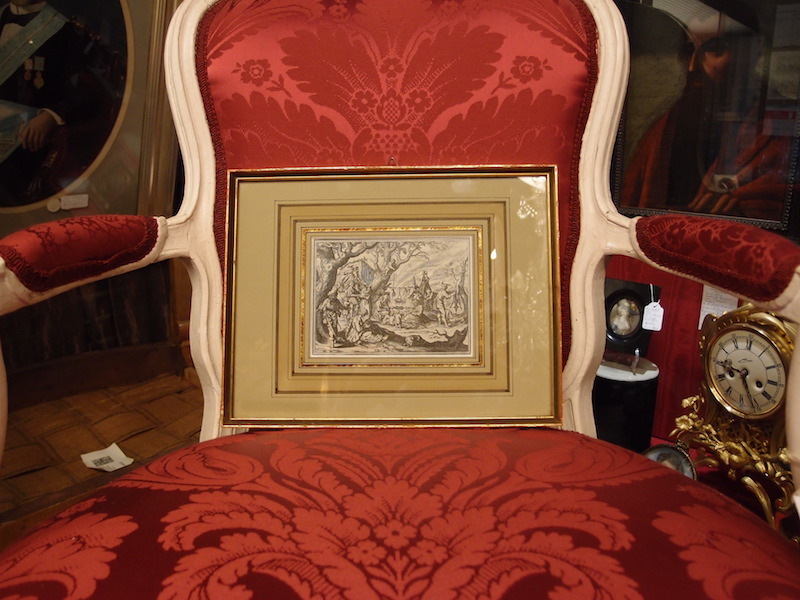 This Northern Renaissance engraving is mid-16th century, in a modern frame. The frame is 30 cm by 23 cm. The actual engraving visible is 14 cm by 10 cm. The engraving is mid-16th century, and likely shows scenes which would have been recognised and understood by the public at that age, as we recognise a red street light. The only scene I am confident of immediately familiar with is the lady reading a man's fortune while her child picks his pocket. I suspect the calf on the right is eating the entrails of its butchered parent (very 16th century symbolism!) I do not even want to speculate on the man at left with a cat and another animal tied to his clothes. 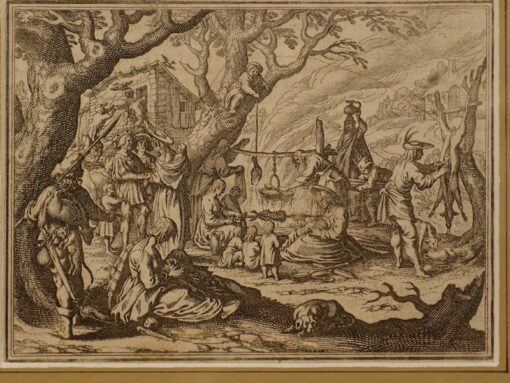 This Northern Renaissance engraving is mid-16th century, in a modern frame. The frame is 30 cm by 23 cm. The actual engraving visible is 14 cm by 10 cm. 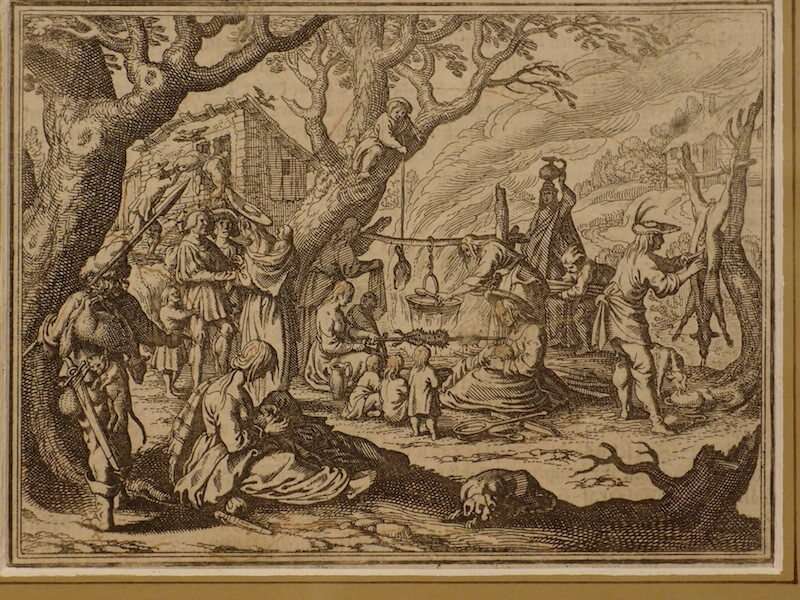 The engraving is mid-16th century, and likely shows scenes which would have been recognised and understood by the public at that age, as we recognise a red street light. The only scene I am confident of immediately familiar with is the lady reading a man’s fortune while her child picks his pocket. I suspect the calf on the right is eating the entrails of its butchered parent (very 16th century symbolism!) I do not even want to speculate on the man at left with a cat and another animal tied to his clothes.